After facing a fire that all but burnt down the entire building, Restauration, the Fourth Street bistro and patio owned by Dana Tanner and chef Philip Pretty, is set to reopen no later than Mother’s Day. The return of Restauration is sure to receive a warm Welcome Back from the neighborhood since it will add some much needed air to the small cluster of businesses near Fourth Street and Temple Avenue: Kafe Neo closed up shop to make way for a marijuana dispensary; Do Good Donuts closed after being open for less than a year; and Mr. Makoto, the ramen shop from the folks behind the now-shuttered Seoulmate, was only open for a few months before closing its doors. 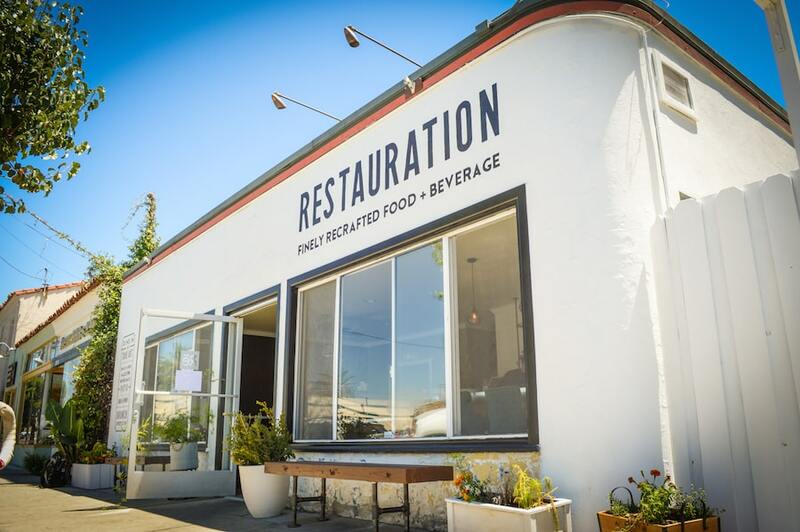 Having opened in 2014, Restauration took over a building that had long been mired with unsuccessful restaurants. Since then, it has long held a reputation for upping the city’s food game (and was named by the Post as one of the city’s best restaurants), especially since Tanner took on chef Pretty as its head-of-kitchen. The pair—Tanner made Pretty a full-time partner in the restaurant shortly after hiring him—made the restaurant boom with creativity, color, and coolness while its community involvement increased, partially because of the pair’s support of urban farming. Restauration has its own plot at Organic Harvest Gardens in North Long Beach, where it procures over half of its produce. Pretty visits three times a week while the garden, in return, visits Restauration twice a week.